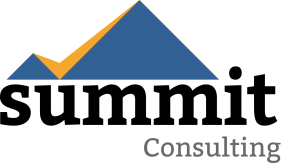 Summit Consulting leverages extensive instructional design and training delivery engagements, transformative project management experience, and a passion for results to provide our clients with high quality instructional design and training delivery services. Summit can customize its instructional design and training delivery process to meet the project management methodology in place at your organization, whether you follow an Agile or Waterfall method, or something more customized. We have certified instructional designers on our staff with hundreds of years of design experience between us. A training program should be designed and developed to focus on what employees need to know in order to perform their job. Emphasis should be placed on what new systems and/or processes have been implemented and how it relates to their job function. A curriculum can be divided into modules and segmented by role thus providing the relevant information for each group. A blended learning approach can be deployed that allows colleagues to build on their existing knowledge and gain competency in performing new tasks. We incorporate the following tenets into our instructional design projects. Adults learn best when they can relate what they are learning to prior knowledge and experience. Many adults like to learn on their own but need validation and want their experience and knowledge to be recognized as important. Adults want practical learning that can help them to immediately deal with the challenges they face in their day-to-day jobs. You have to use it or you will lose it. They are also hungry for feedback on what to know what progress they are making acquiring the new knowledge. These principles have practical training implications that instructional design should take into account. Use both traditional and e-learning approaches in your training strategy. •	Provides group learning in a classroom environment (in one geographic location) shared by both an instructor and the learners. •	Provides training at the job site, usually on a one-on-one basis, while the learner(s) either performs or simulates the job or task(s) to be learned. •	Tools that provide guidance on the performance of a specific job task or skill. •	Used in situations where it is not feasible or worthwhile to commit the procedure to memory before on-the-job performance. •	Allows learners to interact with each other, in real time, regardless of geographical location. •	As this is self-paced, communication between learners and facilitators rarely takes place in real time. •	Most often, messages are posted on discussion boards where learners can read/reply to postings. •	Provides independent, self-paced learning. WBTs are usually short courses. Subject matter experts often have an immense amount of knowledge. Focus first on what the learner needs to know and guide the subject matter expert back to this learning goal as needed. Develop your training by having the subject matter expert actually do the tasks. •	Take an active approach to identifying training content and collaborate closely with business units and understand their operational needs. What do they need in order to be successful? We leverage Kirkpatrick’s 4-level training evaluation model. Level 1 – Reaction – This measures how the audience reacted to the training. Did they like it? Did they feel it was valuable? What did they think about the instructor, training delivery method, materials, location, etc? Level 2 – Learning – This measures knowledge transfer, how much the audience learned in the class. This can be done through post-class assessments and should tie back to the specific learning objectives created at the beginning of the course. Level 3 – Behavior – This measures how the audience has applied what they learned in training following the course. Has an operational metric improved as a result of the training? Has quality improved? Production increased? What behavioral changes did you seek to impact? Level 4 – Results – This measures the return on investment of the training. Did the benefits of the training outweigh the cost in terms of time, human capital, and financial investment?